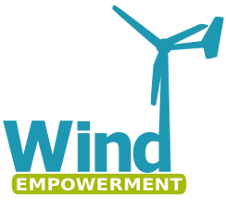 Dan Fink and Dan Bartmann are available for speaking, teaching and consulting on renewable energy issues. Combined, they have over 35 years of off-grid electrical experience. Build your own solar panels? E-book scam! Read more about Build your own solar panels? E-book scam! "FINALLY REVEALED: The secrets to making your own solar and wind power for less than $200." Otherpower co-owner, Huffington Post blogger. Amidst much media buzz about efficient new lighting technologies and a general uproar about government light bulb "bans" worldwide, the most fundamental rule for saving energy on lighting seems to be fading: Make only as much of the right kind of light as you need, and shine it only where you need it. That's the key to saving money on your lighting bill. It's getting really, really difficult to find a decent gas can anymore. The old kind, with a vent cap on the back, and a flexible plastic nozzle to pour from. Living off the grid, gasoline cans are in important part of life. Gas for the portable jobsite generator, chainsaw, weed whacker, snowmobile, and fire pump, extra for long 4WD trips in remote areas, I need to carry gas around! Thanks to our educational sponsor Etesian Technolgies for donating the equipment to make this data acquisition installation possible! Our friends at Midnite Solar are extremely supportive of do-it-yourself renewable energy enthusiasts, which is one reason we are pleased to have them as an educational sponsor. 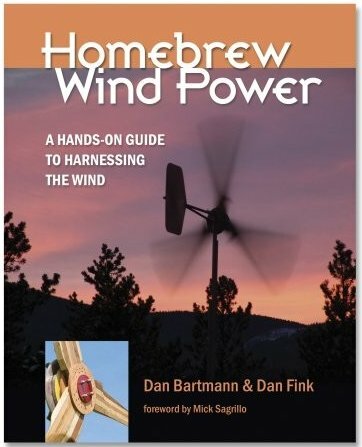 Thanks for your interest in our book "Homebrew Wind Power"! We became overwhelmed with posting new content on a variety of platforms, so we have discontinued the Wordpress blog for our book. We are now the new owners of Otherpower, and have switched it to a blog format now. At this time, user comments are still disabled, but we will be enabling them in the near future. To keep track of everything that's going on with updates to our book, corrections, errata, and our classes, just keep checking in here at Otherpower, catch our RSS feed, and follow us on both Facebook and Youtube. Too many pictures to share so I'm going to post this in parts. Check out parts 2 and 3 at left.